In 2010, the NYC Dept. of Education established its Office of Innovation (iZone) to help the agency adopt to evolving technology, increase resource access, and build infrastructure across its decentralized school system. Approaching the final stage of a three-year federal grant supporting educational technology (EdTech) in the classroom, iZone sought a means so disseminate its findings to teachers and education-focused startups. 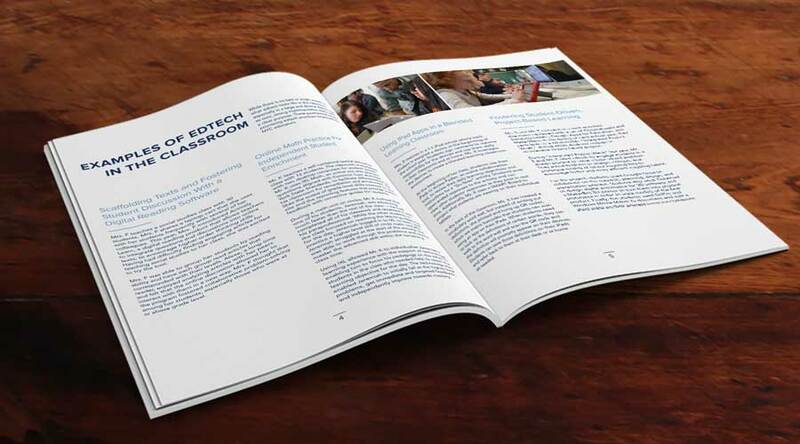 TYTHEdesign and iZone partnered to develop a toolkit, helping teachers to adopt EdTech in their classrooms and startups to develop EdTech products. Throughout the grant period, the iZone had explored opportunities to increase the resiliency and success of EdTech adoption. TYTHE and iZone staff developed a series of five workshops with teachers and startups to evaluate these findings. Workshops gathered insight on participants’ information gaps, operational considerations, and human capacity concerns regarding EdTech. Hands-on activities convened 50 teachers and over 30 entrepreneurs with diverse experience and perspectives on EdTech, drawing out key themes and ideal use cases to drive content and shape the guides. In addition to the co-designing the stakeholder workshops, TYTHE supported with the development of the two guides. In addition to the graphic design, we provided curatorial guidance, building a framework for use and finalizing the documents. TYTHE delivered two guides, streamlining insights into a digestible step-by-step support tool. 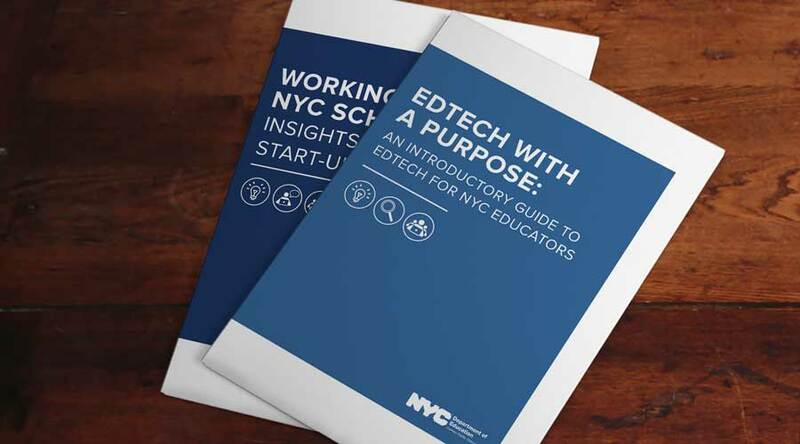 The teacher-focused guide provided insights and advice for adopting edTech in the classroom, while the startup-focused guide provided insight on how to navigate the NYC school system and design for its particular needs. TYTHE worked with iZone staff to select an appropriate design direction, delivering an attractive, digestible document for independent use or as part of a larger professional development program. The document will be adapted with new program evaluation insight as the iZone continues to serve over 1 million students in New York City’s 1,700 schools.